We know that dental visits make many people anxious and uneasy. That’s why we do our best to provide a family friendly and stress-free office environment to make your visit pleasant and comfortable. Our dentists and dental team commit several hours to continuing education so that we are up to date with advances in dental techniques and equipment. We also offer sedation and nitrous oxide or “laughing gas” to put you at ease. 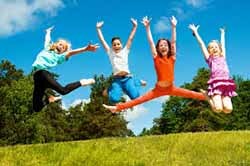 Relax, have fun, be comfortable; a visit to Trelawny Dental Centre, Mississauga can be all this and more! Schedule your appointment for a routine check, root canal therapy or Invisalign procedure. Our dentists use modern technology, while paying special attention to your comfort, to make your visit extremely relaxed. 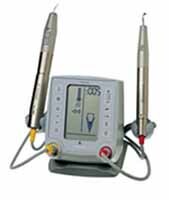 We use this endodontic system to make your root canal procedures simpler and easier. The system helps bring bacteria and debris out of the tooth, instead of pushing it deeper into your tissues. This means that you experience more comfort after treatment, as well as faster healing times. The efficiency and accuracy of treatment is remarkable. Book your appointment for root canal therapy — our ProSystem GT enhances the simplicity and convenience of your procedure. This scientifically advanced formula can make your teeth up to 8 shades whiter in just 45 minutes. It has been clinically proven to be safe and effective and many dentists consider whitening the safest cosmetic dental procedure available. 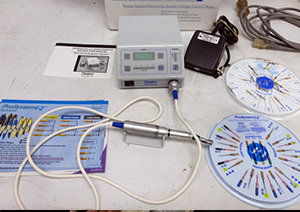 Zoom 2 allows for immediate results, less fading, and it is performed by a dental professional. Book your appointment and start feeling great with a whiter, brighter smile in less than an hour! Our SmilePro 980nm biolitec laser actually minimizes symptoms during and after various soft-tissue procedures compared to traditional instruments and procedures. . In fact, several treatments can completed without the need for needles and local anaesthetic! Procedures are also performed more efficiently so that you need to spend less time in the chair. In addition, tissue trauma is minimized, which means that healing is faster. uses advanced 3-D computer-imaging technology to let you visualize your complete treatment plan, including the final position of your teeth at the very first consultation. 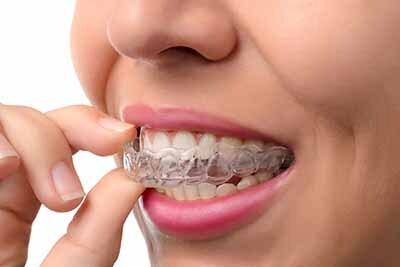 A series of clear aligners are custom-made for your teeth, with each aligner being worn for about two weeks before being replaced by the next. Apart from being virtually invisible, the aligners are removable allowing you the flexibility to eat and drink what you want by simply removing them. You can also remove them to brush and floss for good oral hygiene. In addition, the absence of metal brackets or wires eliminates irritation to your mouth and allows you to smile with confidence. While obturating a root canal system your dentist needs to ensure the fill is accomplished predictably, efficiently and accurately. The Elements Obturation System helps your dentist to achieve all of this! In addition, the streamlined design and extra length provide enhanced visibility for greater control and accuracy. Ordinary dentures are custom-fitted to the upper or lower jaw or clamped on to remaining teeth with metal supports or bridges. If your dentures just don’t stay put, we have an alternative for you! We insert dental implants which are anchored directly and permanently to the jaw bone. Your denture can then fit right onto these implants and the retention is incredible. They withstand the pressure created by biting and chewing and don’t move around in the mouth. With these implant over-dentures, you can talk, laugh, and chew your favorite foods with confidence! Our massage chairs offer rejuvenation and elimination of fatigue at your dental visit. These chairs help to rapidly relax muscle tension, remove soreness and aches, and stimulate stressed muscles and nerve tissues to achieve total relaxation during your dental visit! The dual-action features simultaneous kneading and tapping that provides an even more enjoyable and refreshing experience.